Recently was in a collection of Atari Prototypes I Aquired, Tempest think it a prototype for Colecovision , Any Ideal Or Trade Offer for it? 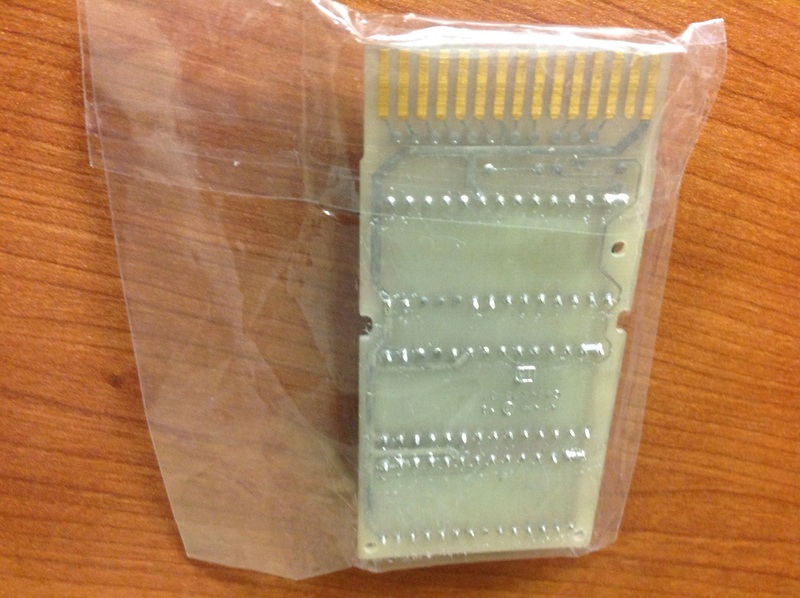 Heed the warning, cover the EPROM windows! Can you post a video of what this version looks like? Probably the modified version, by the original programmer, called Flying Brassiers. "I'm the one who coded Matt/Moon Patrol for the ColecoVision 30 years ago. When the game was canceled by Atari in March of 1984, I burned a few EPROM "comedy" copies for a few Atari colleagues: including Selma, who was responsible for box and manual (for which I have the approved final text) and Helyette, who was the play-tester. Selma was canned before I saw her again -- so, I kept that copy. Eventually, a ColecoVision collector talked me into giving him an EPROM copy of the "SELMA presents MATT PATROL". Ultimately, it was posted to the interwebs..."